While last year’s iOS 11 update focused heavily on iPad, the iOS 12 update is going to be relatively a modest one for iPad users. Now that developers have installed iOS 12 beta on their iPads we are now learning about the changes Apple has made in this release. Even with our initial impressions with the new software running on the iPad we can say Apple is preparing iOS for iPad’s bezel-less future where at least the Pro models of the device will have an edge-to-edge display, No Home Button and Face ID sensors. Lets start with edge-to-edge display and no home button. 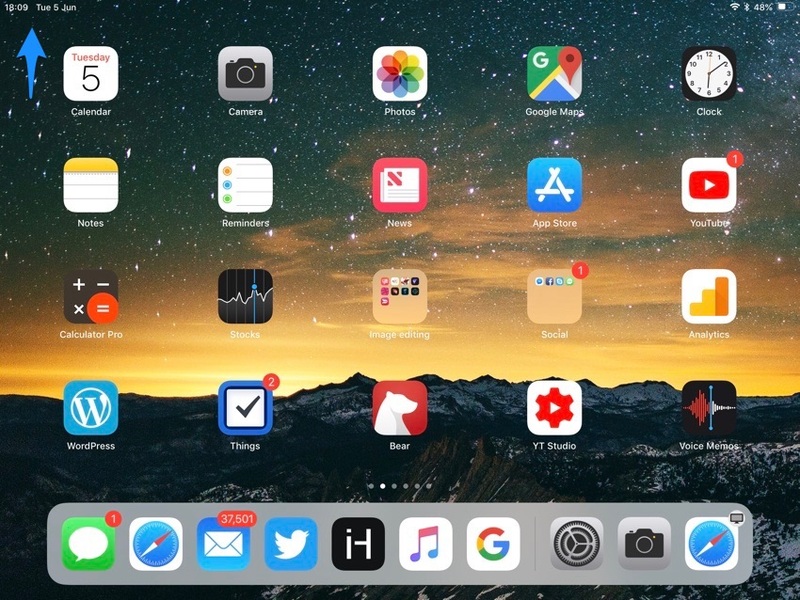 With iOS 12 Apple has introduced iPhone X like gestures to iPad, as now they can return to the home screen by swiping up from the bottom. 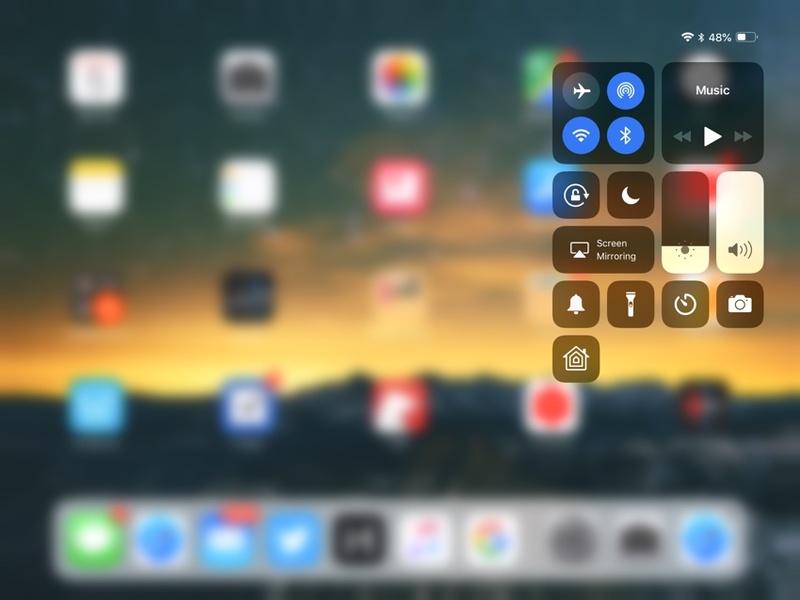 Again like iPhone X, Apple has changed the way users access Control Center on their devices as now instead of getting the Control Center that shared screen with the app switcher they get a standalone Control Center by swiping down from top right side. Both these changes suggest Apple is looking to get rid of the Home Button on the future models of the tablet. Another noticeable software change that suggests upcoming iPad redesign and inclusion of Face ID is the relocation of date and time. While on iOS 11 the time appears in the middle, iOS 12 puts date and time on the left side of the status bar. In iOS 12 the Wi-Fi signal has also moved towards the right side, same as iPhone X. This rearrangement of status bar items has most probably been made to accommodate the camera notch and Face ID sensors in the middle. While everyone expected Apple to announce new iPad models at WWDC like last year, Apple has delayed the announcement until later this year.